This blog explores whether going electric really is the best option for protecting your teeth and gums. Electric toothbrushes were first invented in the 1950’s to help people with limited mobility but they did not become widely available and used until the 1990’s. Whilst the option for going electric has been around for some time now, you may not have made the switch and be wondering whether it is worth the investment. The impression we are given by the media and advertising is that an electric toothbrush does a better job at cleaning your teeth, keeping plaque in check and generally preventing gum disease and tooth decay. 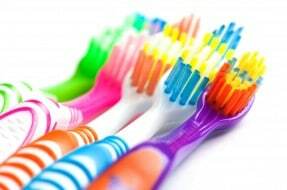 When faced with dozens of various versions of the electric toothbrushes, it can be a bit of headache deciding whether you need a brush to rotate, oscillate or pulsate – or all three! So, what does the research actually say about the effectiveness of electric toothbrushes? Numerous research studies have shown that optimal results can be achieved with both manual and electric toothbrushes. The reason we brush our teeth is to remove plaque from our teeth (the bacteria that attaches itself to our teeth) and research says that plaque can be kept in check with a manual toothbrush, so long as you are using the correct brushing technique, i.e. brushing at the right pressure, brushing for at least two minutes and brushing all areas of your mouth. The problem most people have is that it is difficult to keep track of time when brushing your teeth with a manual tooth brush, leading to most people not brushing their teeth for the recommended time. Also, a manual toothbrush does not tell you how hard you are brushing your teeth, unlike most electric toothbrushes, which means that some people suffer from gum recession as a result of brushing too hard. Therefore, research suggests that using an electric toothbrush is more likely to give you an ideal brushing technique, which in turn controls the plaque levels in your mouth. In terms of what type of electric toothbrush you should be using, various research studies have shown that a rotation oscillation design (where the brush heads rotate in different directions) is the most effective type of electric toothbrush to use. If you have any concerns about your own brushing technique and whether you should be using an electric toothbrush then speak to your dentist about this and ask for a demonstration and advice. If are concerned that you have not received adequate oral hygiene instructions and advice from your dentist then please feel free to contact us to discuss a potential claim.